Did you twist your ankle while you were out on your morning jog? Or, did you accidentally cut your hand while cooking dinner? Instead of having to deal with long waits at the emergency room, get the prompt treatment you need at Tahoe Fracture Quick Care. We’re a premier musculoskeletal urgent care clinic serving patients throughout Carson City, Nevada, and surrounding areas. However, if you’re experiencing the signs of a life- or limb-threatening condition — such as a heart attack, stroke, or compound/open fracture — you should get to the emergency room as soon as possible. When you’re injured, you want to entrust your care to someone with experience. Our orthopedic clinic, Tahoe Fracture & Orthopedic Medical Clinic, has been serving Carson City, NV, and nearby communities since 1966, and you’ll find a high level of experience at our walk-in clinic, as well. When you turn to Tahoe Fracture Quick Care for your musculoskeletal urgent care needs, you can feel confident knowing that you’ll be receiving skilled treatment from a team of knowledgeable and compassionate professionals. 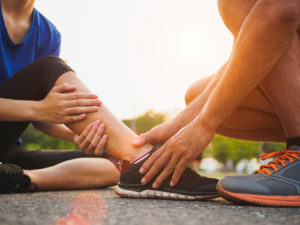 Plus, if your injury requires surgery, or if you need to undergo physical or occupational therapy as part of your recovery process, you’ll be glad to know that you can get all the services you need at Tahoe Fracture & Orthopedic Medical Clinic. The team at our orthopedic clinic includes doctors, physical therapists, occupational therapists, physician assistants, and nurse practitioners who can provide you with a comprehensive approach to treatment. If you’re in the Carson City, NV, area and you’re in need of musculoskeletal urgent care treatment, visit Tahoe Fracture Quick Care. We’re open Monday through Friday from 8:00 a.m. to 5:00 p.m. We look forward to serving you.